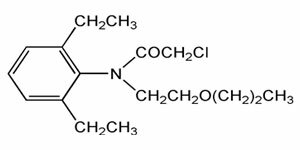 It is pre- emergence selective herbicide for transplanted rice. 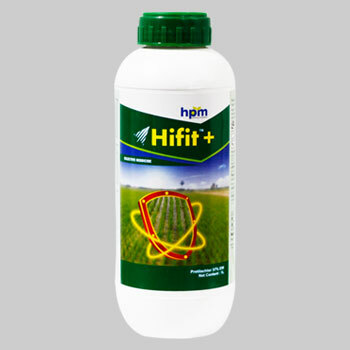 Hifit Plus controls grass, broad leaf and sedge weeds. Hifit Plus dissolves quickly and spreads fast and has an effective action. It is suggested to use Hifit Plus between 0-5 days after transplanting of paddy. It is also suggested to avoid flooding the field up to 24 hours after application. Packing sizes are available in 600ml and 1 lit packings. Selective herbicide. It is taken up readily by the hypocotyls, mesocotyls and coleoptiles, and to a lesser extent, by the roots of germinating weeds. It is a broad spectrum selective pre-emergence to early post emergence rice herbicide. It exhibits highly efficient control of a variety of weeds like annual grasses, sedges and broad leaved weeds. It controls weeds by inhibiting its growth and reducing the cell division. Material insoluble in acetone, percent by mass, Max. Store separately from feed, food and stimulants.